The 2016 Modern Pentathlon Varsity Match took place on 25 and 26 March at Tonbridge School in Kent. Three members of Fitzwilliam College were in the full teams, consisting of six male and six female athletes. The Ladies’ team included Alice Watson and Ali Simon, whilst Josh Briegal was on the Gentlemen’s team. 2016 saw the Cambridge Ladies victorious, and the gentlemen narrowly defeated. Individually Alice placed second and achieved a Full Blue score, Ali was seventh, and Josh tenth in the Gentlemen’s section. 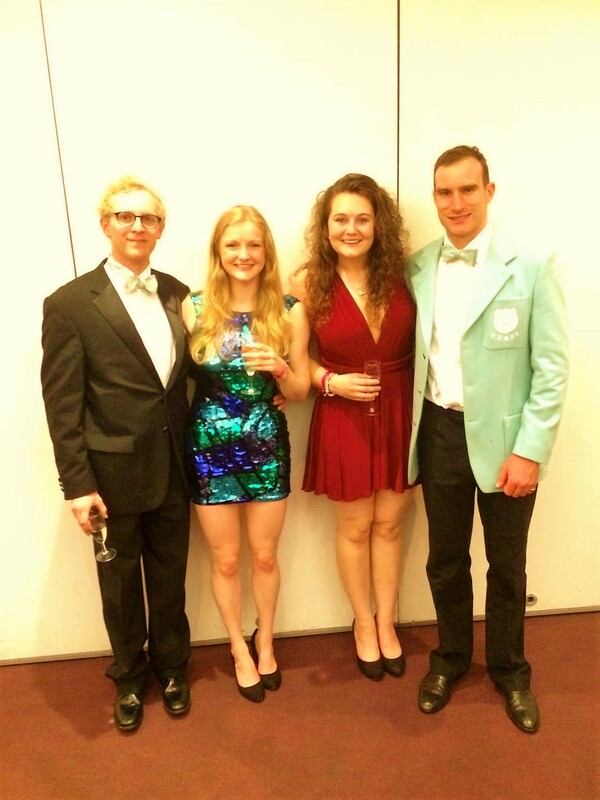 Ali Simon has competed for the Cambridge University Modern Pentathlon Club (CUMPC) throughout her three years as an undergraduate, captaining the team to victory in 2014. Ali made her final appearance during her year as an Environmental Policy MPhil. Overall, she performed exceptionally well in the swim, gaining third place with a time of 2m28s over the 200m course. 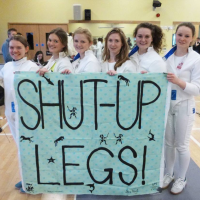 Alice Watson, a fifth-year Veterinary student, started Modern Pentathlon due the persuasion of Ali in her year as Captain, having only competed in one of the sports previously. Alice was a member of the Blues team in 2014 and 2015, and achieved her Full Blue in the 2016 Varsity Match. She also won a trophy for best ‘skills’ including the fence, ride and shoot. In the combined event (run and shoot) Alice was third in an impressive time of 14m30s. Josh Briegal started his Pentathlon journey late, in his final year as a Natural Sciences undergraduate, making his debut at the 2016 Varsity Match. The gentlemen’s competition was of a particularly high standard this year, with the overall points record being broken by the winning Cambridge athlete and involving many other athletes that compete nationally. Josh did spectacularly well to hold his own in this company with only six months of training under his belt, and did incredibly well to complete the show-jumping course having learnt to ride during this time! Congratulations to all three on their amazing modern pentathlon achievements!